Agriculture is one of the world’s least digitised major industries, but this will change as data acquisition, agricultural robotics and analytic companies grow. A report by technological research company IDTechEx says that many agricultural robotic companies are graduating into the market and are in the process of transforming the value chain of agriculture. 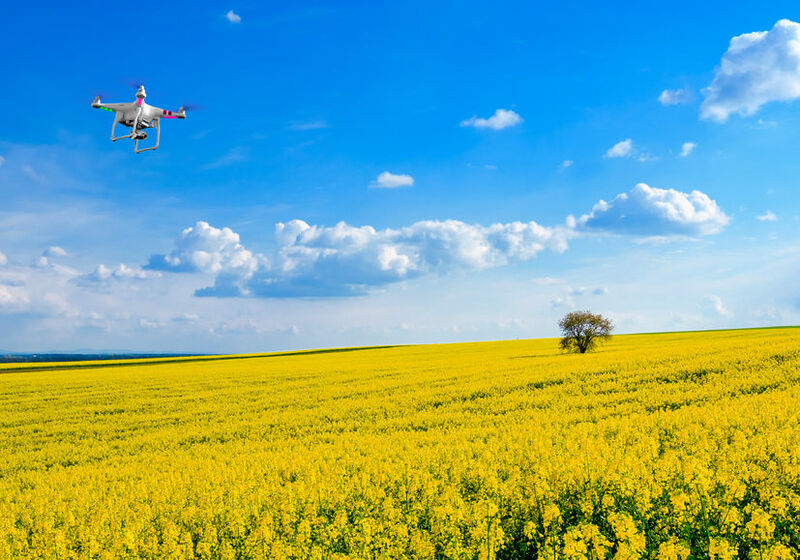 The report, titled 'Agricultural Robots and Drones 2017-2027: Technologies, Markets, Players', shows the investment in nearly 40 select farm data management and analytics companies. It says that interest in the past three years has risen. Contrary to common perceptions, agricultural is in some areas at the forefront of technology adoption. Taking autonomous driving as an example, GPS-enabled autonomous tractors have been in use for years in farming. Indeed, the report predicts that the number of GPS-enabled assets in farming will rise to nearly 1 million by 2024. To set this in context, this figure was only 107k in 2006 and was nearly 430k in 2016 (this includes autosteer, tractor guidance, VRT equipment). Agricultural machinery has dramatically evolved over the past century. The report says that the time is now 'ripe' for further automation as cost of sensing and data processing has fallen in recent decades. IDTechEx forecasts that agricultural robots will become a $12bn industry by 2027. Despite the strong progress on the machinery side, data and analytics still play a minimal role in traditional agriculture. Data has been extensively used in R&D particularly when it comes to advanced seed and agrochemical production. Nonetheless, it is yet to propagate at scale into farming itself. The report says that this is about to change, as agricultural robots and drones will help drive a transformation. Sensor-equipped agricultural robots will autonomously navigate through farms, continuously building up a detailed spatial map of data about specific plants. An example of such technology can be seen at the agricultural college Harper Adams University. It has successfully drilled an agricultural test site with a self-driving tractor. And in the coming weeks, the project hopes to become the first in the world to plant, tend and harvest a crop by only using autonomous vehicles. And drones are currently being developed which could detect plant diseases before any visible signs begin to show. The report says that agricultural machinery may have to undergo a fundamental transfiguration to achieve autonomous machinery: large, fast, and heavy manned machine may have to be replaced with small, slow, and light autonomous robots. In parallel to agricultural robotics, wireless sensing networks are also finding a receptive market in agriculture. Agricultural robotics can help increase the resolution of the data, elevating the precision levels from a specific farm patch towards specific plants. For example, a team of researchers are using a pair of robotics platforms and a $20 million grant from the US National Science Foundation to develop a system for identifying crop strains resistant to heat, drought and flood. The report says that robots intrinsically extend beyond just data acquisition tools in that they can also carry out precision agriculture through site - or plant-specific actions such as precision seed-planting, spraying, weeding, nutrient feeding, and so on.